Call Us Today For Commercial Duct Cleaning NYC – Commercial buildings typically put a lot of emphasis on outward appearances as businesses need to project good appearance but it has been observed that normal maintenance is often neglected, especially the air duct cleaning. One of the most common misconceptions associated with commercial buildings is that these type of buildings do not require the same level of professional air duct cleaning services as is required in residential homes. Nothing could be further from the truth. Commercial buildings are as much in need of high quality and professional air duct cleaning as residential buildings. There is no denying the fact that no actual residents live and sleep in commercial buildings but it does not mean that people working there do not spend most of their time indoors. Many people suffer from illnesses caused by indoor air pollution and one of the main reasons for indoor air pollution is lack of regular cleaning. 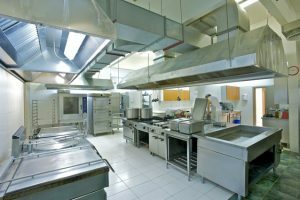 Commercial duct cleaning NYC makes sure that everything inside the building remains clean and it reduces the amount of cleaning needed. If the ducts are not cleaned professionally, the dust particles stuck inside the ducts are bound to circulate throughout the workspace. It will end up on the chairs, flooring, tables and everywhere else. Regular professional cleaning helps in reducing the amount of interior cleaning. The ducts in commercial buildings not only contain dust but also various harmful contaminants as well as microorganisms that may lead to allergies and irritation. Some of the common irritants that reside in the ducts are pollen, bacteria, pet dander and mold spores among others. This is especially harmful for people suffering from a variety of respiratory issues as well as asthma and allergies as they are particularly sensitive to such harmful airborne particles. Regular air duct cleaning helps in getting rid of these contaminants and makes the workspace safer and healthier for people working in the building. 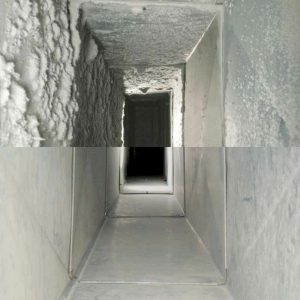 Regular duct cleaning helps in getting rid of any unpleasant smells and odors lurking in the corridors of the building. There are all kinds of reasons that lead to stale smells in the ducts and whenever air flows through these ducts, the odors flow throughout the building making it uncomfortable for people working inside. If the ducts are not cleaned frequently, the accumulation of dust and dirt also leads to a musty smell coming out of the vents. Regular cleaning of ducts helps in getting rid of all the particles trapped in the ducts leading to a fresher smelling environment. 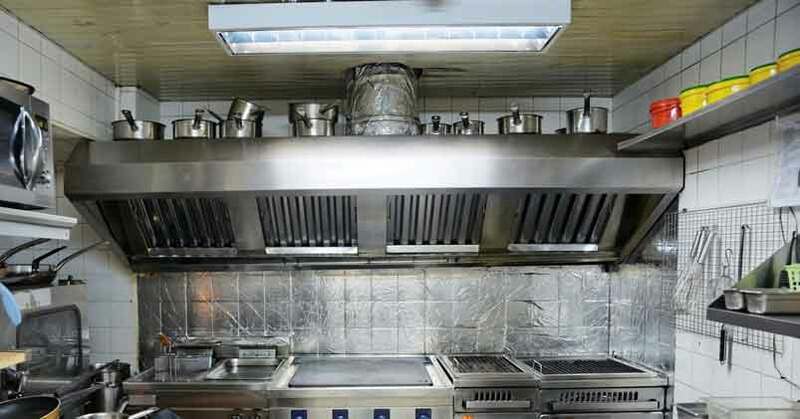 The ducts that are not cleaned regularly typically accumulate a lot of dust and grime over a period of time which eventually restricts free flow of air. In simple terms, the HVAC system has to work harder than needed in order to push the air through the ducts which leads to decreased efficiency. It not only leads to higher energy bills but also adversely affects the overall lifetime of heating and cooling appliances. Regular cleaning of ducts allows HVAC system to operate at its peak efficiency which ultimately means lower energy bills and longer lifespan of the heating and cooling appliances. If you search for commercial duct cleaning NYC service, you will find hundreds of companies offering these services. However, not everyone has the right accreditation and certification, and therefore, you need to do some research in order to choose the right service. Here at United Hood Cleaning, we take cleaning seriously. Our team has highly trained professionals with a lot of experience in duct cleaning as well as other related services. We promise highest levels of services. We pride ourselves in paying attention to detail which means we do not take any kind of shortcuts and make sure that the ducts in your building are properly cleaned. We have also invested in the latest equipment in order to make sure that our clients are completely satisfied with our services. Call us today at (888) 889-3828 to get a completely free quote on commercial air duct cleaning services. When you hire us, you can expect attention to detail, reduced rates and strong work ethic.